Can love bloom at uOttawa? Of course it can. It could be with anyone. That cute guy in your calc class that you’ve had a crush on for the past semester, or the girl at CRX 1st floor study lounge sitting on the bench with shoulder length blonde hair, size 6 leather boots slightly scuffled on the heel, black Lululemon leggings, green sweater with a design of a deer on the front, sleeves that were slightly too long and ended past your knuckles when you had your arms straight, bright blue backpack that could probably fit max capacity of 6 bottles of wine…. If you’re reading this please notice me…. Yea sure, they’re all good. But why go for small fries when you could go for the one and only that truly matters. That’s right, the only one that you really should think about dating is uOttawa. Now you’re probably thinking that uOttawa is way out of your league. Don’t worry, I got your back. With these 4 easy steps you’ll be able to win over uOttawa’s heart. First and foremost, always be punctual with uOttawa. Nothing will lose respect faster than being late to a lecture. Sometimes you might get lucky with the excuse by putting the blame on OC Transpo, but that doesn’t always fly. And I know it’s not fair that uOttawa can be so cruel to us when we’re late, but we can’t say a thing when it’s late by half an hour as we sit patiently in an empty lecture room. You’re gonna lose a lot of money but that’s part of the territory with dating. Don’t be cheap with uOttawa and get the free sketchy pdf for a textbook. No, go all out and buy that $200 textbook and the $100 study book. You’re probably not even going to use the textbook, and you’re definitely not going to use the study book, but you’ll charm uOttawa with your dedication. Nothing says, “I love you,” like spending several hundred dollars on useless gifts. This is a bonus step but learning French will definitely impress uOttawa. It’ll also make it easier for you. If you don’t know French be prepared that half of its love letters will be in unreadable. So definitely learn French. Now that you’re set up with uOttawa it’s time to take it out for dinner. But where? There’s a lot of choices: a fancy place in the Market, a loud bar on King Edward Street, or a home cooked meal? All of these are bad choices. The only place to go is the uOttawa Dining Hall. With such delicious* and great* meals, it simply can’t go wrong. And you might not even need to pay if you were forced to get the meal plan from living in res. Otherwise, what’s another $12.50? There really isn’t anything more romantic than a late dinner at the Dining Hall. 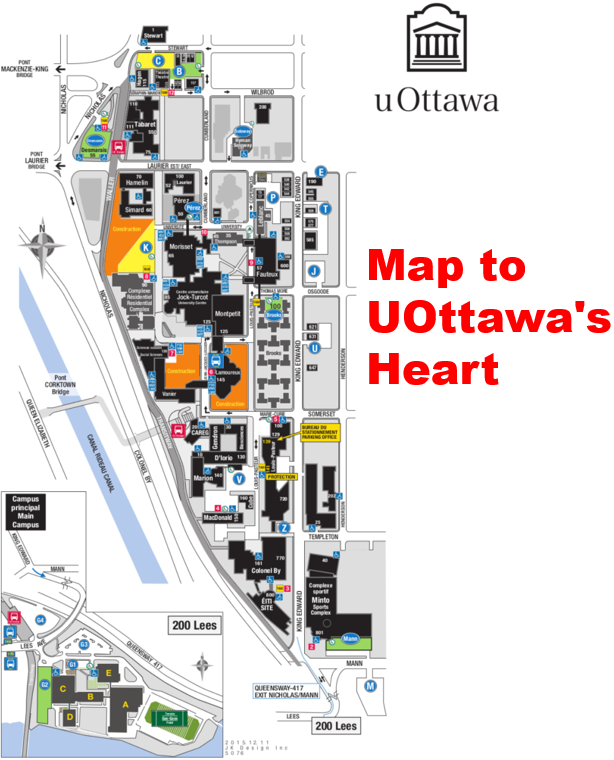 Hopefully with these 4 steps you’ll be able to warm uOttawa’s cold, cold, cold heart. And if things don’t work out and you get your heart broken you can always lower your standards and date Carleton.